Albany Foot Doctors brought to you by the Internet Chamber of Commerce. Choose a company to see comprehensive business information. Dr. Mark Friedman provides comprehensive podiatric care, including foot surgery, sports medicine, custom orthotics, and routine foot care. He also has a special interest in treating patients with diabetes. Dr. Friedman works directly with their medical team to offer preventative care, wound care, and surgery when necessary. He works with advanced wound care products to help close difficult diabetic ulcers. Heel pain is one of the most common conditions that Dr. Friedman sees in his office. He frequently attends medical education meetings to ensure patients are receiving the highest and most advanced level of podiatric care. Dr. Friedman attended the International Congress for Extracorporeal Shockwave Therapy and is now one of the few doctors in the capital district that offers this modality of treatment for persistent plantar fasciitis. 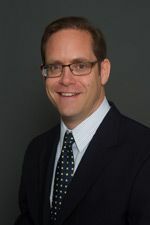 Dr. Friedman has been serving the capital district for 17 years. He received his undergraduate degree from the State University of New York at Buffalo and attended Temple University School of Podiatric Medicine. Dr. Friedman completed his residency in Kansas City at the Veterans Affairs Medical Center. He is former president of the Northeast Division of the New York State Podiatric Medical Association, a board-certified Fellow of the American College of Foot and Ankle Surgeons, and is on staff at Albany Memorial Hospital. Dr. Friedman enjoys running, biking, and coaching youth lacrosse. In his free time, he enjoys going up north with his family to the Adirondacks – one of his favorite places. After one visit, it is clear that Dr. Doug Mason is passionate about helping people. “It’s all about relationships – building relationships to make people better!” In an age where face-to-face interaction is waning, Dr. Mason enjoys talking to patients and connecting with them. By getting to know patients, Dr. Mason is able to offer a more holistic approach to their treatment, often anticipating a need before it is even articulated. Dr. Mason has been practicing podiatric medicine for 26 years. A New Jersey native, he began his career in the small town of Freeport, IL where he also served the surrounding communities, including the under-resourced population. He earned his undergraduate degree from Purdue University and attended Scholl College of Podiatric Medicine. 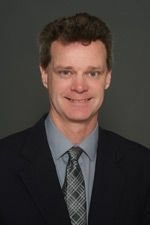 Dr. Mason completed his residency at the Rush University Medical Center in Chicago, Illinois and is a former attending of a three-year podiatric surgical residency program. Dr. Mason has a special interest in wound care, particularly diabetic ulcers, and has also worked extensively with the elderly population, providing both in-office and at-home routine care. He is excited to be working with all of the latest cutting-edge technologies that Albany Podiatry offers, including digital x-rays, noninvasive vascular testing, and ECSWT for plantar fasciitis. A former runner, triathlete, and springboard diver, Dr. Mason has also coached diving at both high school and collegiate levels for the past 37 years. In his free time, Dr. Mason enjoys cooking and serving as a local youth group leader. Dr. Hardy began her career with Dr. Elliot Diamond, podiatrist to the Pennsylvania Ballet. Dr. Diamond’s practice specializes in a non-surgical, non-drug based approach, offering Dr. Hardy the opportunity to gain experience utilizing holistic treatment techniques, including gait analysis, kinesiology taping, myofascial release, and ultrasound. 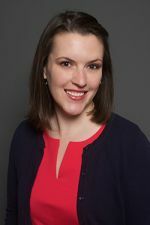 Dr. Hardy received her undergraduate degree from the State University of New York at Albany and attended Temple University School of Podiatric Medicine. She completed a three year medical and surgical residency in Camden, New Jersey. Dr. Hardy served as Chief Resident during her final year at Cooper University Hospital, a level one trauma center. She has expertise in both forefoot and rearfoot surgery, including, but not limited to: bunions, hammertoes, diabetic wound care, Achilles tendon ruptures, and Haglund’s Deformity. Dr. Hardy is thrilled to be back in the capital district - an area she first explored during her time on the SUNY Albany equestrian team. She continues to ride horses and also enjoys skiing, hiking, and mountain biking. Dr. Hardy took up running a few years ago and has completed three half marathons. She is excited to experience the area’s routes, railtrails, and races – and welcomes recommendations!